<h2>Critical, informed citizens crucial for the EU to stay relevant</h2><br /><p>Opinion polls give a mixed picture of what people think of the EU. A <a href="http://ec.europa.eu/commfrontoffice/publicopinion/index.cfm/Survey/getSurveyDetail/instruments/STANDARD/surveyKy/2215" target="_blank" rel="noopener noreferrer">2018 Eurobarometer survey</a> showed public trust had fallen in 13 Member States in the past year, but risen in 12 countries and remained unchanged in three. Across the EU as a whole,&nbsp; 48% of people now claim to distrust it as an institution<a href="http://ec.europa.eu/commfrontoffice/publicopinion/index.cfm/Survey/getSurveyDetail/instruments/STANDARD/surveyKy/2215" target="_blank" rel="noopener noreferrer">&nbsp;</a>while just 42% have faith in it, but it still surpasses national governments, who are trusted by 35% of the EU population on average.</p> <p>‘Attitudes towards the EU are multi-dimensional’, said Professor Claes de Vreese, chair of political communication at the University of Amsterdam in the Netherlands. ‘There are a lot of citizens who are quite ambivalent or balanced in their view, but they might not agree with how the EU is handling things in specific cases.’</p> <p>One of the major difficulties in working out what underlies people’s views of the EU is that the needs and expectations of its citizens are complicated. They can vary from nation to nation, and even moment to moment. Some are based on misunderstandings of the EU’s role in people’s lives while others are driven by perceptions of how Europe’s political elite have failed to deliver.</p> <p>Prof. de Vreese is coordinating the <a href="https://cordis.europa.eu/project/rcn/198443/factsheet/en" target="_blank" rel="noopener noreferrer">EUROPINIONS</a> project, which is trying to delve into some of these nuances and, in particular, to understand the role that the media plays in shaping people’s attitudes to the EU. The project is using a combination of panels and flash surveys, done by sending participants questions on their mobile phones, to track public opinion in response to events.</p> <p>In the run up to the European Parliament elections, the researchers are hoping to examine how events and media coverage in the preceding months alter public opinion and whether that corresponds with the final voting results.</p> <p>‘In the past, research has shown that voting in European elections is often <a href="https://claesdevreese.files.wordpress.com/2018/02/gattermann-devreese_2017.pdf" target="_blank" rel="noopener noreferrer">influenced more by domestic political grievances</a> or the state of the economy,’ said Prof. de Vreese. ‘Increasingly, attitudes about the EU and the European collaboration are starting to influence vote choice in these elections. We’ve done some analysis in different countries and what really seems to matter is <a href="https://journals.sagepub.com/doi/full/10.1177/0267323118810843" target="_blank" rel="noopener noreferrer">how much news you are getting about the EU</a>.’</p> <p><strong>Sceptical</strong></p> <p>And it’s not necessarily the case that more information equals a better attitude. One set of analyses during the EU summit in Bratislava, Slovakia, in 2016, where heads of member governments discussed the outcome of the Brexit vote, found that members of the public that encountered news and information about the summit became <a href="https://www.tandfonline.com/doi/full/10.1080/07036337.2018.1546302" target="_blank" rel="noopener noreferrer">more sceptical in their attitude towards the EU’s performance.</a></p> <p>‘It is an intriguing but important outcome,’ said Prof. de Vreese. ‘What it shows is that being critical of the EU can actually be a rather sophisticated process. It is very different from what one might assume, as it is an informed critical attitude rather than just a negative one that is not based on knowledge or information.’</p> <p>While European politicians might not initially be keen to encourage more criticism of how they are doing, Prof. de Vreese said that allowing people to make this kind of fine-grained analysis could have an important impact in the long run.</p> <p>‘You want a critical citizenry as then you can have a debate that is informed, which then brings an improvement in the democratic process,’ he said.</p> <p>For Professor Pierangelo Isernia, a political scientist at the University of Siena, in Italy, greater interaction between the general public and European politicians could help change attitudes towards the EU.</p> <p> <div class="quote-view quotesBlock quote_horizontal"> <div class="quotesTop"><img src="https://horizon-magazine.eu/sites/all/themes/horizon/images/quotes_top.png" alt="" title="" /></div> <p>'You want a critical citizenry as then you can have a debate that is informed, which then brings an improvement in the democratic process. '</p> <blockquote><p>Prof. Claes de Vreese, University of Amsterdam, the Netherlands</p></blockquote> <div class="quotesBottom"><img src="https://horizon-magazine.eu/sites/all/themes/horizon/images/quotes_bottom.png" alt="" title="" /></div> </div> </p> <p>‘There is a disconnect between the general public and the political elite,’ he said. ‘Political elites are by far more pro-European in principal than their respective public. The public are more concerned about issues like immigration and security, but are less confident the EU can address them.’</p> <p>To close this gap, Prof. Isernia, as part of a project called <a href="https://cordis.europa.eu/project/rcn/194568/factsheet/en" target="_blank" rel="noopener noreferrer">EUENGAGE</a>, brought together panels of around 300 people from the 28 EU nations to interact directly with politicians and experts. They combined this with analysis of party manifestos, news coverage and <a href="http://kenbenoit.net/pdfs/Amador_etal_SPP_2017.pdf" target="_blank" rel="noopener noreferrer">social media posts by politicians on Twitter</a> to build up a picture of how the public interact with politicians. This helped to reveal the apparent ‘representation gap’ that Prof. Isernia refers to.</p> <p>But in an effort to address this, the project team also created a <a href="http://www.euengage.eu/deliberation-line-dol/" target="_blank" rel="noopener noreferrer">moderated online forum called ‘E-Voice’</a> that allowed 300 members of the public to discuss controversial political issues with politicians and policymakers. They gave these online communities additional information about the content of policies and their implications.</p> <p>‘We are still analysing the results, but there were two effects,’ said Prof. Isernia. ‘The most lasting was that people began to realise there were no simple solutions to complex problems and, to find a way out, you need to take account of positions and respect opinions that you might not share. The second effect was that people exposed to an actual decision-making process that involves allocating resources were also more willing to redistribute those resources to people in need.’</p> <p><strong>Replicated</strong></p> <p>Prof. Isernia believes the platform could be replicated within individual countries to help the general public and politicians interact more constructively.</p> <p>‘We were surprised that the politicians were pretty happy with the experience themselves as they were getting feedback from the real people on real issues,’ said Prof. Isernia. ‘Both politicians and the public were reacting to one another and their discussions became more based on real content rather than rhetorical or symbolic messages that are now so common, especially on social media.’</p> <p>This type of research is timely, according to Professor Jan Wouters, director of the Leuven Centre for Global Governance Studies at the KU Leuven in Belgium, who says the EU is currently at a ‘critical juncture’ in terms of public opinion following major events such as the financial crisis, the recent Eurozone debt crisis, increasing immigration and the threat of terrorism.</p> <p>He points to the growth of populist movements, such as those in the UK that led to the Brexit vote, the rise of the Freedom Party in Austria and Marine Le Pen’s National Rally party in France, as a sign that Europeans want to see their views taken more into account in the political process.</p> <p>He coordinates the <a href="https://cordis.europa.eu/project/rcn/218077/factsheet/en" target="_blank" rel="noopener noreferrer">RECONNECT project</a>, which is aiming to see how the EU can become more attuned to what the European public want.</p> <p>They will use the <a href="http://www.europarl.europa.eu/at-your-service/en/be-heard/elections" target="_blank" rel="noopener noreferrer">upcoming European Parliament elections</a> to survey public opinion in eight EU countries on the issues they see as a priority and how they think they should be dealt with.&nbsp;</p> <p>This will be combined with analysis of how <a href="https://europarlamentti.info/en/values-and-objectives/values/" target="_blank" rel="noopener noreferrer">the fundamental values of the EU</a> have evolved over time, and how these are interpreted in different Member States. The aim will be to understand more about the mismatch between the EU’s overarching values and how its citizens see its policies and decisions.</p> <p>It will, for example, look at democratic mechanisms such as the <a href="http://www.europarl.europa.eu/RegData/etudes/BRIE/2018/630264/EPRS_BRI(2018)630264_EN.pdf" target="_blank" rel="noopener noreferrer">Spitzenkandidaten process</a> – where European political parties appoint candidates for the role of President of the European Commission – to examine whether it has brought the EU closer to its citizens.</p> <p>It will also look at how changes in decision making, such as giving national parliaments more say over the EU’s trade policy, could also help to give the EU more legitimacy for its citizens.</p> <p>Ultimately, over the next three years, the project is aiming to use these findings to recommend new citizen-focused policies and proposed amendments to European Treaties that take on board the views of European citizens more effectively.</p> <p>‘The challenges faced by the EU and the Member States alike go deep and they need bold and decisive action to be addressed,’ Prof. Wouters said. ‘This is the kind of action RECONNECT seeks to inspire.’</p> <p><em>The research in this article was funded by the EU. If you liked this article, please consider sharing it on social media.</em></p> <br /> <img src=”http://www.google-analytics.com/collect?v=1&tid=UA-40077089-1&cid=critical-informed-citizens-crucial-for-the-eu-to-stay-relevant&t=event&ec=republish&ea=read&el=critical-informed-citizens-crucial-for-the-eu-to-stay-relevant&cs=republish&cm=republish&cn=republish&cm1=1" /> This post <a href="https://horizon-magazine.eu/article/critical-informed-citizens-crucial-eu-stay-relevant.html">Critical, informed citizens crucial for the EU to stay relevant</a> was originally published on <a href="https://horizon-magazine.eu/">Horizon: the EU Research &amp; Innovation magazine | European Commission</a>. Opinion polls give a mixed picture of what people think of the EU. A 2018 Eurobarometer survey showed public trust had fallen in 13 Member States in the past year, but risen in 12 countries and remained unchanged in three. Across the EU as a whole, 48% of people now claim to distrust it as an institution while just 42% have faith in it, but it still surpasses national governments, who are trusted by 35% of the EU population on average. One of the major difficulties in working out what underlies people’s views of the EU is that the needs and expectations of its citizens are complicated. They can vary from nation to nation, and even moment to moment. Some are based on misunderstandings of the EU’s role in people’s lives while others are driven by perceptions of how Europe’s political elite have failed to deliver. Prof. de Vreese is coordinating the EUROPINIONS project, which is trying to delve into some of these nuances and, in particular, to understand the role that the media plays in shaping people’s attitudes to the EU. The project is using a combination of panels and flash surveys, done by sending participants questions on their mobile phones, to track public opinion in response to events. In the run up to the European Parliament elections, the researchers are hoping to examine how events and media coverage in the preceding months alter public opinion and whether that corresponds with the final voting results. And it’s not necessarily the case that more information equals a better attitude. One set of analyses during the EU summit in Bratislava, Slovakia, in 2016, where heads of member governments discussed the outcome of the Brexit vote, found that members of the public that encountered news and information about the summit became more sceptical in their attitude towards the EU’s performance. While European politicians might not initially be keen to encourage more criticism of how they are doing, Prof. de Vreese said that allowing people to make this kind of fine-grained analysis could have an important impact in the long run. ‘You want a critical citizenry as then you can have a debate that is informed, which then brings an improvement in the democratic process,’ he said. For Professor Pierangelo Isernia, a political scientist at the University of Siena, in Italy, greater interaction between the general public and European politicians could help change attitudes towards the EU. To close this gap, Prof. Isernia, as part of a project called EUENGAGE, brought together panels of around 300 people from the 28 EU nations to interact directly with politicians and experts. They combined this with analysis of party manifestos, news coverage and social media posts by politicians on Twitter to build up a picture of how the public interact with politicians. This helped to reveal the apparent ‘representation gap’ that Prof. Isernia refers to. But in an effort to address this, the project team also created a moderated online forum called ‘E-Voice’ that allowed 300 members of the public to discuss controversial political issues with politicians and policymakers. They gave these online communities additional information about the content of policies and their implications. Prof. Isernia believes the platform could be replicated within individual countries to help the general public and politicians interact more constructively. This type of research is timely, according to Professor Jan Wouters, director of the Leuven Centre for Global Governance Studies at the KU Leuven in Belgium, who says the EU is currently at a ‘critical juncture’ in terms of public opinion following major events such as the financial crisis, the recent Eurozone debt crisis, increasing immigration and the threat of terrorism. He points to the growth of populist movements, such as those in the UK that led to the Brexit vote, the rise of the Freedom Party in Austria and Marine Le Pen’s National Rally party in France, as a sign that Europeans want to see their views taken more into account in the political process. He coordinates the RECONNECT project, which is aiming to see how the EU can become more attuned to what the European public want. They will use the upcoming European Parliament elections to survey public opinion in eight EU countries on the issues they see as a priority and how they think they should be dealt with. This will be combined with analysis of how the fundamental values of the EU have evolved over time, and how these are interpreted in different Member States. The aim will be to understand more about the mismatch between the EU’s overarching values and how its citizens see its policies and decisions. It will, for example, look at democratic mechanisms such as the Spitzenkandidaten process – where European political parties appoint candidates for the role of President of the European Commission – to examine whether it has brought the EU closer to its citizens. 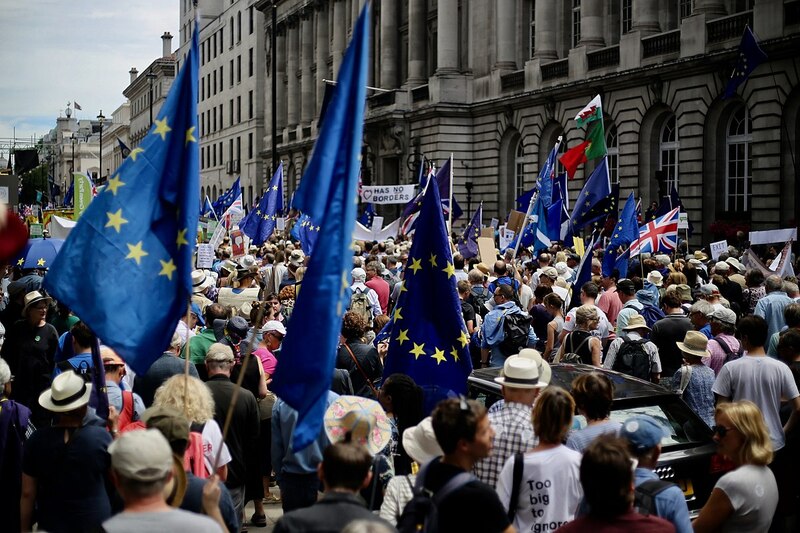 It will also look at how changes in decision making, such as giving national parliaments more say over the EU’s trade policy, could also help to give the EU more legitimacy for its citizens. Ultimately, over the next three years, the project is aiming to use these findings to recommend new citizen-focused policies and proposed amendments to European Treaties that take on board the views of European citizens more effectively.